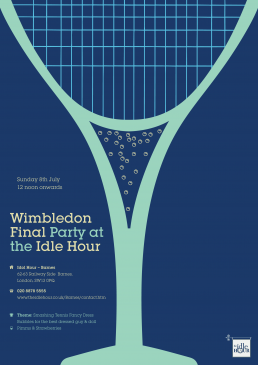 Wimbledon tennis cup is getting to the final and the big celebration party is scheduled. Group of people requested A3 poster to be put in the bars. Gold, champagne and tennis.